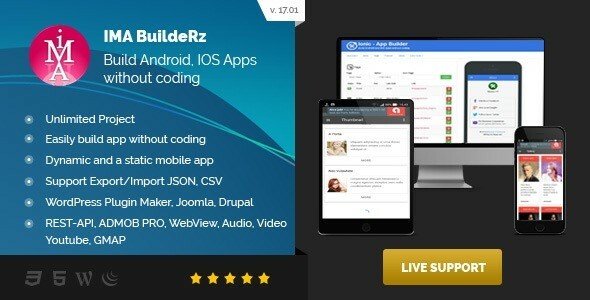 Ionic Mobile App Builder v17.02.01 - CODELISTPRO | Free Premium Scripts, Plugins, Apps Source Code. Ionic Mobile App (IMA) Builder is a web tool to build a template code for Ionic Framework v1 and also build backend for storage media without coding. You can build project to app file (apk) using ionic, cordova or phonegap.